Mapping each state is a fun and easy way to learn geography. Learn the location of each state on the map by region. Learning state history has never been easier. 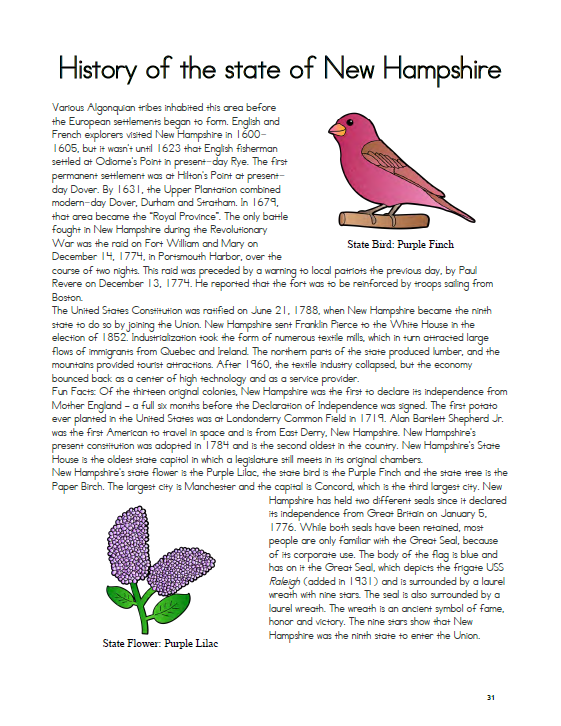 The simple, brief history of each state introduces students to the history of the United States in a fun way. Not only will you learn geography and history about each state, you will also learn fun facts based on the state symbols. Learning the states and their capitals has never been more fun! Learning the states, their capitals and historical facts about each one is important. However, my children found it boring and tedious. This 648-page book will make it easy and simple to cover each state for children ages PreK-6th grade. 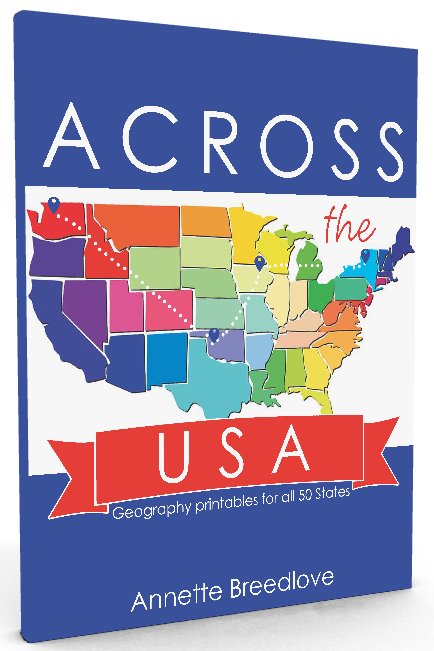 ​This ebook is for those who want to do some geography of the United States with their younger students without overwhelming them. It was designed with the Elementary aged crowd in mind. However, it can easily be adapted for older students or as a supplement to another geography curriculum. My younger children wanted to be involved in our State-by-State learning, but all the curriculum and products were just too much for them. These fun printables give them a way to be involved without being overwhelmed. 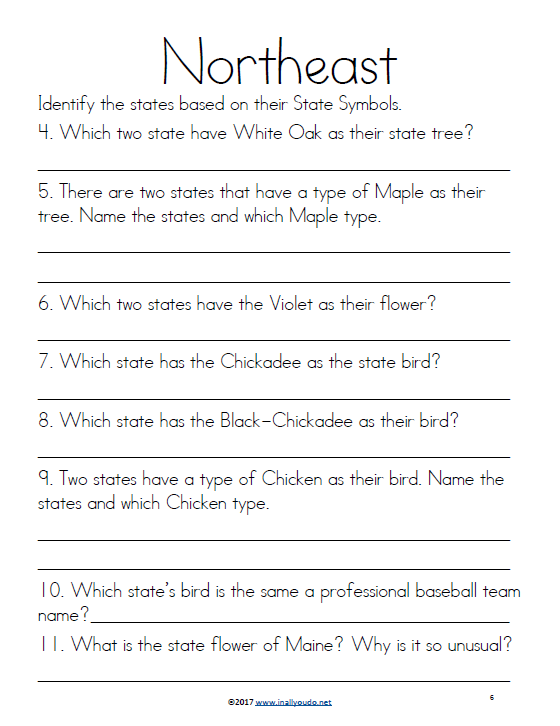 Students will learn the states by region. Five regions will be studied - Northeast, South, Midwest, Southwest and West. By learning a brief history of each state, students will become more familiar with how and why each state entered in to the union. Knowing fun facts about the states is a great way to engage students and help them remember the important facts too. "We didn’t realize that geography didn’t have to be boring!" "Across the USA is just what I was looking for! Having a curriculum that is just print-and-go is a must for this busy homeschooling mom. I can print out our lesson, hand it to my children, and we are good to go. The bite sized lessons are perfect for memory retention and the colorful illustrations make it pleasing to the eye. We didn’t realize that geography didn’t have to be boring!" Recently I received the Across the USA curriculum and all I can say is once again Annette has made my job as a homeschooling mom a little easier. I am in love with this geography curriculum and am certain that this will help open up the doors of my children's minds once again to learn new facts in a very child friendly way. Start trekking Across the USA today! 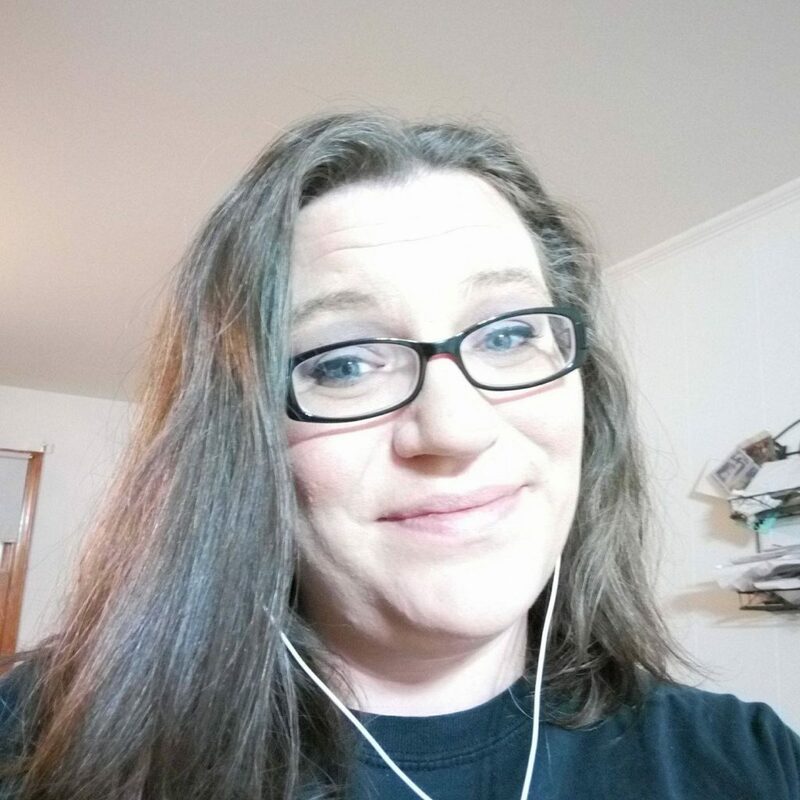 Annette is the creator of In All You Do and homeschooling mom to 5 blessings. She has been married to her best friend since 2003 and serves along side him in ministry as he pastors where the Lord leads. 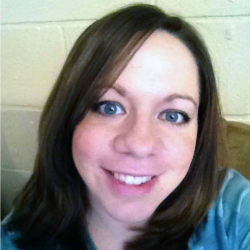 She enjoys creating simple and fun resources for homeschooling families. She feels blessed the Lord called her not only to motherhood, but also homeschooling, so she can instill a life of Faith and Love for the Lord Jesus in her children every day.